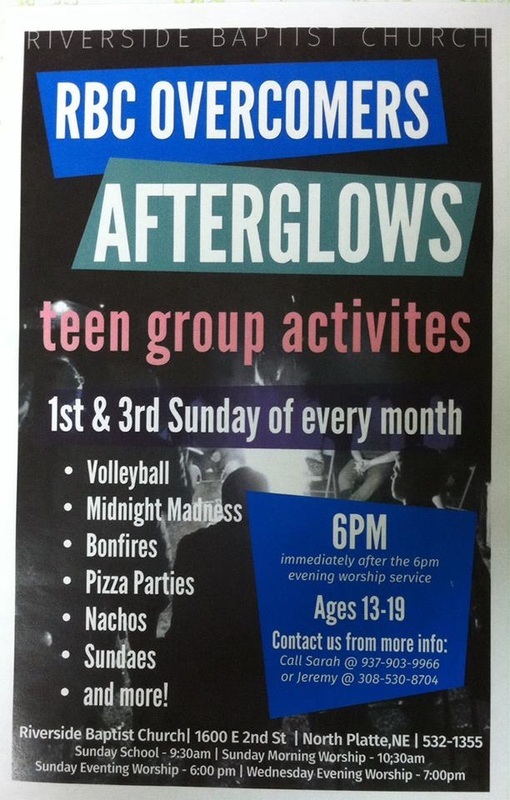 Every 1st and 3rd Sunday, after the evening service, we have an afterglow for the teens. Afterglow activities are though up, planned out, and executed by Bro Jeremy! Sometimes they're just a few minutes and sometimes they last all evening with a yummy snack (provided by Miss Sarah!) stuck in there now and then! Activities vary from newspaper games to relays to a hot game of dodge ball and even an occasional volleyball challenge with the adults! Then of course there's the once in a lifetime Toe Jam game! Curious?? Guess you'll have to stop by sometime to see what's up! Check out our churches Facebook page for more activity information including camps and youth rallies! Add us to your Summer plans!!! Here we are in May which means Summer is literally just around the corner! Camp plans are being wrapped up as we prepare to leave here in a couple weeks and rally plans are quickly pulling together! A few of our teens have already been able to attend a couple youth rallies at surrounding churches and look forward to any other surprise activities! We hope you will be able to join us for some or all of the summer! If you are looking for an independent fundamental Baptist Bible Camp, you'd be hard pressed to find a better one than To His Glory Baptist Camp. Theme: "Walking the Bible Way"
We hope to remind them that the Bible can guide you in every decision in life and how important it is to walk the Bible way, God's way! Bible Quiz (Eph 5), and lots of fun!